What is the best way to create and maintain safe, productive communities? Engage in a community discussion about Criminal Justice at the next Arizona Town Hall here at the Rio Salado College Tempe headquarters, April 2. 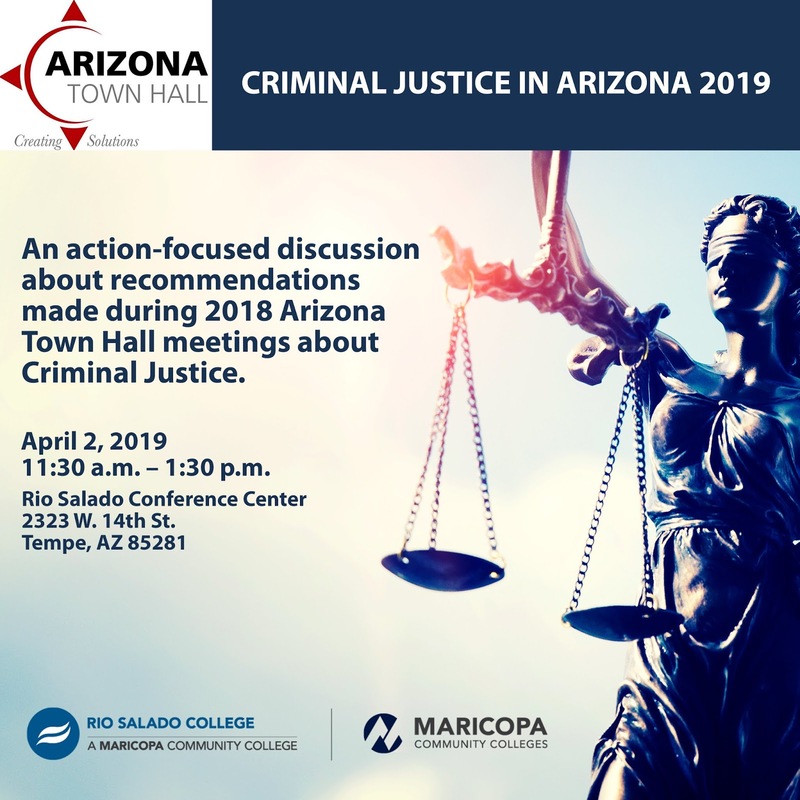 If you’re interested in more information about Arizona’s criminal justice system, please review this 2018 Arizona Town Hall Background Report and fact sheet. The Background Report for the 111th Arizona Town Hall was prepared by the Morrison Institute, in partnership with Arizona universities and the Arizona Town Hall Research Committee. Rio Salado College is proud to join Arizona Water Company as a co-sponsor for this event.